Nowadays, everywhere you turn, you hear about “DIY this” and “DIY that”. It appears that people are becoming more and more practical in their approach even to the simplest tasks, even household chores. And who couldn’t blame them? If money is tight and you are operating within a small budget, you’d definitely try to look for any means necessary to make ends meet. This includes cleaning carpets. It’s an easy enough task, especially when we’re talking about a fairly large rug or a wider carpet occupying a fairly sizable room in your home. But what if it involves a very large room, say your living room or the entire stretch of the hallway of your Rockingham WA 6168 home? Carpet cleaning can be a huge challenge if you do it yourself. Or yourselves, if you are able to loop others into doing the task with you. That is the primary reason why you should not do your own carpet cleaning. You (and a million others) may think that it is “just cleaning, and anybody can do it”. If it’s just a matter of sweeping away dirt, wiping off grime and vacuuming dust, then we’ll probably agree with you. But carpets require a special kind of care and, along with it, a special handling when it is being cleaned. The special handling required in carpet cleaning implies that you have to pay extra attention on the task. Therefore, expect it to be tedious, and if it is not in your nature to be meticulous when it comes to cleaning, then you won’t be able to clean your carpet the way that you want. To put it simply, if you are a very busy person and you do not really have all the time in the world to devote to cleaning your Rockingham WA 6168, or even just the carpets, then going at it yourself is definitely not the best idea. Most importantly, cleaning companies like Carpet Cleaning for Perth are the experts when it comes to cleaning practically anything in your home, be it your carpets or all the rooms in your Rockingham WA 6168 property. If you factor in the number of years that your cleaning company of choice has been in this particular business, then that is already an indication of their level of expertise. A professional carpet cleaner will do an excellent job at getting rid of even the most stubborn stains and deep-seated dirt that have accumulated in your carpet. They will be able to get to the dirt that no amount of scrubbing on your part is probably going to be able to remove, because they have the equipment and supplies specifically designed to accomplish the task. Since Carpet Cleaning for Perth has all the tools necessary for the job, we will be able to finish cleaning your carpet in even less than half the time that you probably would, had you insisted on doing it yourself. You can still go about your routine – go to work, meet with your friends, and even spend some quality time with your family, while we, the professionals, deal with your dirty carpet. What about the upholstery of the furniture in your Rockingham WA 6168? Are you up for the task of cleaning it yourself? 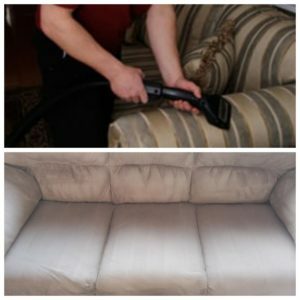 Upholstery cleaning can be quite tricky, primarily because they are attached to pieces of furniture. In other words, you’re not just tinkering with the upholstery, because you are also actually maintaining the furniture. For example, if your leather couch has a several years old ink stain that you’re so desperate to remove, cleaning the leather upholstery basically means you’ll also be handling the couch itself. If your Rockingham WA 6168 has several furniture that requires upholstery cleaning, you’re probably wondering which would be the better option in getting them cleaned. The main reason why you should think twice about doing a DIY cleaning on upholstery is the fact that you are not an expert at it. Unless you have extensive experience in actually cleaning upholstery, we suggest that you do not so much as attempt to throw in whatever cleaning agent on your upholstery. Insisting on cleaning your furniture upholstery is quite a risky move on your part. You might end up with a damaged upholstery and a lot of regrets afterwards. Professional cleaning companies know their stuff. The moment they see the furniture in your Rockingham WA 6168 property that needs cleaning, they will know the exact upholstery cleaning process and tools that should be used. Now let us say that it’s just a simple stain removal, and you still insist on doing it. Once you have successfully reduced the stain or maybe even removed all traces of it, that’s where it ends. You’ll be left with furniture with upholstery that does not have a stain, but still looking like the old upholstery that it really is. 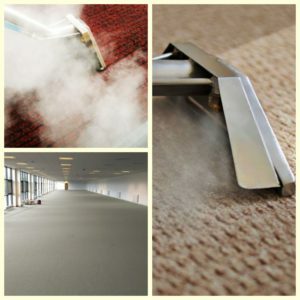 In the hands of highly capable and experienced cleaners such as Carpet Cleaning for Perth, the upholstery cleaning service that you will avail of will go beyond just cleaning. After removing the visible stains and subjecting the upholstery and furniture to more thorough cleaning that will remove even the dirt and bacteria unseen by the naked eye, they will also be conducting treatment that basically reconditions the upholstery. This means that the upholstery will be restored, so do not be surprised when, at first, you will fail to recognize the furniture that you’ve had for years. It will look as good as new and, probably even better! Aside from giving your Rockingham WA 6168 home a facelift, cleaning your upholstery is actually one way to give your furniture a new lease on life. Just think: that stubborn ink stain on your leather couch has made you contemplate several times over the years just dumping it and buying a new couch. However, after getting the professionals of Carpet Cleaning for Perth clean the leather upholstery, you can actually use that same leather couch for many more years to come. Let us say that you’re quite satisfied with how you were able to clean your living room and bedroom, and you were probably even proud of how good you were at cleaning your carpet. But what about the tiles on the walls and table tops in your kitchen? What about the tiles and grout in your bath and shower stalls? Shower stalls, bathrooms, toilets and sinks are sadly often some of the most overlooked areas of a home when it comes to cleaning. This is mostly because many homeowners are under the impression that, since they are often wet and exposed to soap, detergent and other cleaning agents, they are already clean and do not really require thorough cleaning. They couldn’t be more wrong. Tile surfaces and especially the grout or the gaps between tiles are actually favourite breeding places of bacteria, mould and mildew to breed and thrive in. Take another look at your Rockingham WA 6168 home and see whether your tiles and grout are truly very clean. You might be surprised at what you’ll find out. Now this begs the question: should you clean the tiles and grout yourself? You’re more than ready to reach for a pair of gloves, a bottle of strong cleaning agent, and a heavy-duty scrub. But will that give you the type of clean that you want? No matter how you claim to be very good in scrubbing floors and walls clean, there is the reality that tiles and grout are an altogether different type of monster to deal with. Surface dirt may be removed easily, but the gaps between the tiles are much harder to get into. And yes, this type of cleaning requires great attention to detail. If you are a person with a short attention span, you’re going to be bored easily when you only barely started. Oh, and there’s the fact that cleaning the tile floors and walls is not exactly the most comfortable to do. Certainly it is not something that you can do sitting down or standing up. Often, you’d have to be in the most uncomfortable and awkward positions that are sure to invite massive body aches and pains for the next several days. Carpet Cleaning for Perth is one of the cleaning companies in Rockingham WA 6168 that specifically offers tile and grout cleaning, and inarguably one of the best in this type of service. Why should you hire them instead of doing it yourself? First of all, professional cleaners do not just get rid of surface dirt and stains. They also use specialized tools and materials to blast away all those microorganisms that are breeding in the tiniest crevices in the gaps between tiles, so that they cannot pose any threat to the health of your family. Second, their cleaning methods and processes are also designed in such a way that will preserve your tiles. Remember the dirty tiles in the bathroom that you are planning on getting changed at the end of the year? Once the professional cleaners have cleaned them and restored them to their original shine and lustre, you can forget about spending money on replacing them, and use it on another more worthwhile project instead! Save yourself from experiencing discomfort and body aches because you insisted on cleaning the tiles and grout in your Rockingham WA 6168 home. If you leave it in the hands of the professionals, you will be spared from this misery, and your kitchen and bathroom tiles will be clean in no time at all! No matter how tempting it is to save a few tens or hundreds of dollars by doing your home cleaning yourself, we suggest you slow down and make an in-depth cost and benefit analysis between a DIY home cleaning project and a cleaning task that you will hire a cleaning company for. It would be better in the long run to face and accept the reality that there are simply some things that you cannot do yourself. Sure, you can insist on doing them, but chances are high that you won’t be able to get the results that you want and expected. In the end, you’ll still feel unsatisfied with the quality of your own carpet cleaning or upholstery cleaning. You will only end up wishing that you just let a professional cleaning company do it. Avoid having those regrets (and the unnecessary costs that come with it) with your Rockingham WA 6168 home. Book your preferred cleaning service with Carpet Cleaning for Perth today.